Magento is one of the most popular e-commerce software in the world. This tutorial explains what steps should be taken to manually install Magento 2.x.x on a shared hosting account. Note that Magento has two versions – Community and Enterprise. This tutorial is based on Magento Community version because it is open source and free to download. 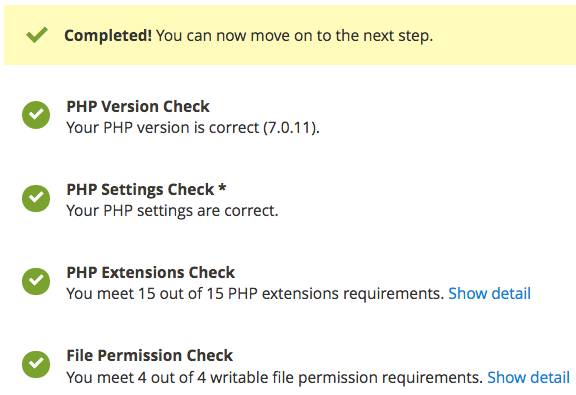 5.6 or newer version of PHP, Apache 2.2 or higher, MySQL 5.6.x. Full list of requirements can be found here. Firstly you need to download Magento installation files to your computer. Latest Magento version can be downloaded from here. Magento without sample data – An empty Magento installation with default theme but without any products. Magento with sample data – A Magento installation populated with sample produtcs and articles. It’s useful if you want to test how your shop will look with a lot of products. Select preferred archive format (it’s recommended to choose .ZIP as it’s supported by all operating systems). Click Download button and save the file to your computer. There are two possible options how to upload Magento installation files to your hosting account. First one is to extract archive file on your computer and then upload all files to the server using an FTP client. The second option is to upload the archive file to the server and then use File Manager extract feature to extract the archive. 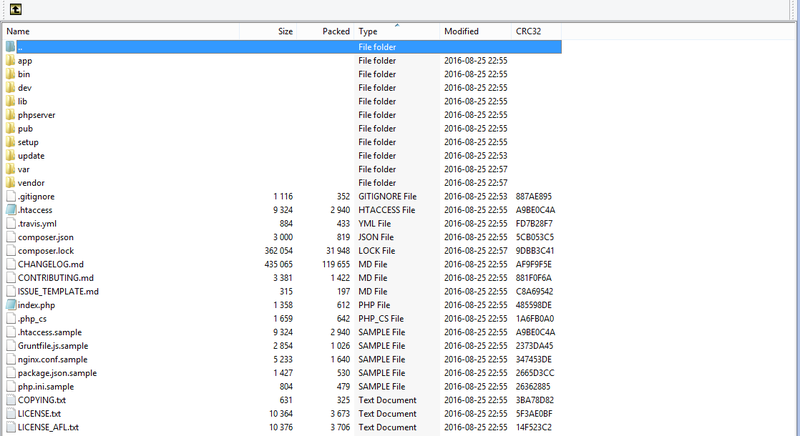 Extract these files to any directory of your computer. Use an FTP client like FileZilla and upload all these files to your hosting account. All Magento files should be uploaded to public_html directory unless you want to install it on a subfolder. 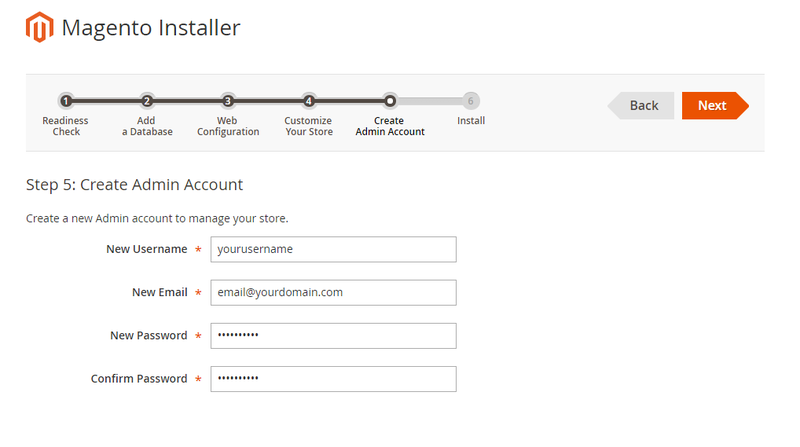 For example, if you want to install it on http://yourdomain.com/store, files must be uploaded to public_html/store. Multiple files can be uploaded by selecting all the files and pressing Upload button. 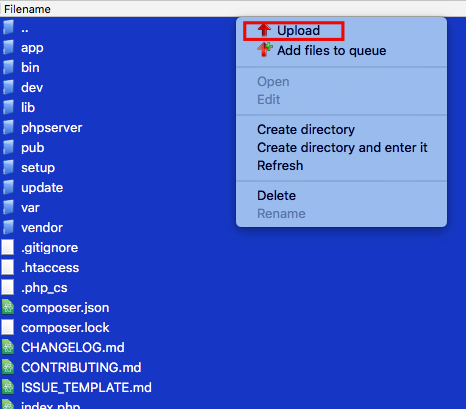 If you’re still not sure how to upload Magento files, refer to the more detailed tutorial on how to upload website files. Every Magento installation requires a database. All store content, information about user accounts and products are stored in the database. The method of creating a database depends on the hosting control panel. However, it will be similar on most hosting providers. Access your hosting account control panel and navigate to databases section. Create an empty database and assign a user for it. Write down database name, username and password. You will need them in the next step. 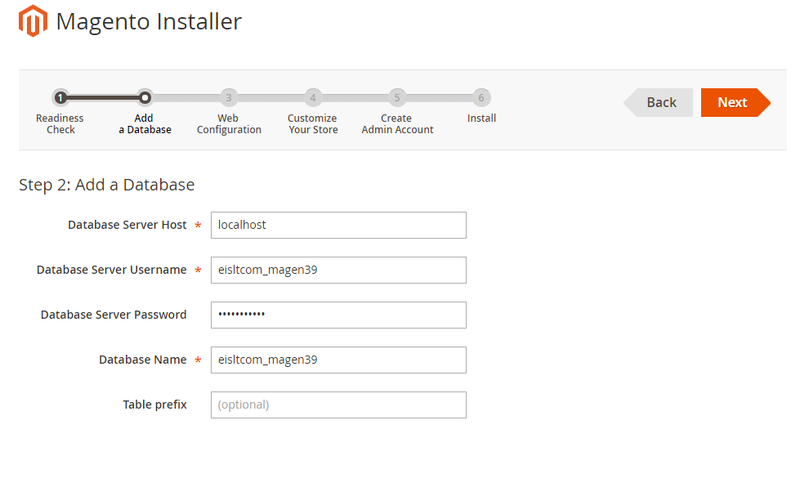 How To Create MySQL Database And User On cPanel. Once files are uploaded and MySQL database is created you can proceed with Magento installation. Open web browser and access your domain name. Firstly you will need to agree with Magento terms by pressing Agree and Setup Magento button. In the first step Magento installation will check your hosting settings and show if there are any errors. If the check is successful, you can proceed to the next step. However, if you get any errors during readiness check, contact your hosting provider. On this step you will be asked to enter details of the MySQL database you have created in Step 3. Database Server Host – usually it’s localhost, however, it can be a different value as it depends on hosting provider. If you’re not sure what to enter here, contact your hosting support staff. Database Server Username – Enter the username you have created in Step3. Database Server Password – Enter the password set for the database user in Step 3. Database Name – Name of the MySQL database you created in Step 3. Table prefix – Table prefix of the MySQL database. For example, if you enter shop here the name of every table will start with shop_ prefix. If you leave this field empty, Magento installation will generate a random prefix. Press Next button once you are done. Here you will be asked to enter store and administrator dashboard addresses. Your Store Address – You shouldn’t edit this value unless you want to change store front end URL. Magento Admin Address – This is quite important value. You will need to enter this URL in the browser every time you want to reach Magento administrator dashboard. Select values according to your needs and press Next to move to the 5th step. On this step you will be asked to create an administrator account for your store. You will have to use it to access Magento backend. Don’t use admin as the username. It’s the most popular administrator username in the world, therefore, it’s not safe. You should enter working email address. It will be used to reset lost password. Once all values are entered press Next button. Press Install Now button to begin the installation. Once the installation is complete, a new page containing installation details will be opened. The last thing you need to do is to change permissions to 755 for app/etc directories. You can easily do this using FTP client or File Manager. If you’re not sure how to set permissions, see this tutorial or contact your hosting support staff. Magento is a very powerful tool to create and manage online stores. By finishing this tutorial you have learned how to install Magento manually. It will be helpful if auto-installer is not available. 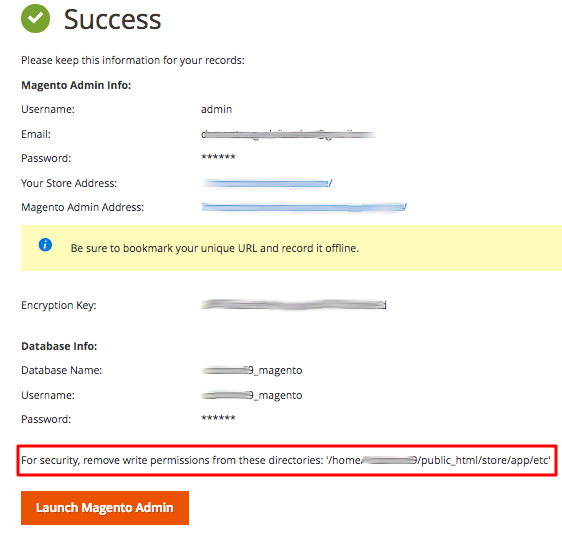 Hi I installed Magento 2.1.8 in a public_html subfolder mydomain.com/store as i already have a live store and was planning to build a new site to test, but how do I access Magento Admin to do the setting. What URL would it have?